Evan Marian stated” I worked with Lou (and BassSouthwest) on getting a custom Ken Smith and I must say, I am highly impressed with the results. Lou offered fantastic service, working with me on getting the right bass for my tastes. I would highly recommend working with Bass Southwest to get your dream bass! Ric Fierabracci Great selection and great service. Because of their knowledge, Lou and his team can get you the right bass and help you save a lot of time and money. Great guys to deal with. Roberto Vally Bass southwest is a wonderful company with great personal knowledge of all the products that they sell. Keep up the good work Lou!! Amanda Ruzza What is so great about Bass Southwest is that Lou the president of the company is as passionate about basses as we are. For him it’s not about selling another instrument, it’s about connecting groundbreaking luthiers and boutique manufacturers with bassists. Lou will sell you only the best instruments, for the right price and ship it to you so fast that ‘death-by-the-anxiety-of-receiving-a-new-bass’ won’t happen. Getting ready to come home from NAMM. Such an unbelievable experience. A big thank you to Lou at Bass Southwest for everything! If you haven’t already checked them out, you need to. Lou is a great guy and will take great care of you. I can’t speak highly enough about Lou and Bass Southwest! I’ve been looking into MANNE basses for a while, and focused on the Glenn Hughes SOULMOVER Model. The build quality of this bass is amazing, there is no detail from fit & finish, to fretwork, to the electronics/pre-amp package, to the incredibel NECK on this bass that I don’t like. The SoulMover has a given weight of around 8 lbs. but feels MUCH lighter. It is compact and ergonomic, and the tone is HUGE. This instrument has incredible natural bottom even when eq’d flat, but- tweak the EMG P/J pups combined with a 2-band eq and Balance knob (often overlooked as a great EQ tool) and the SoulMover gets RIDICULOUS! Tight, controlled lows, perfectly balanced mids, and enough treble punch to do whatever you need to do! The tones are perfectly balanced along the spectrum; all four strings; and you can easily go from deep-down thunder Dub Bass, or Old-School Motown; all the way up to the crispest, cleanest, most modern highs. Andrea at MANNE is truly a master craftsman. It’s obvious he has a passion and dedication to building World-Class stringed instruments. Combine this with the flair for design that Italy is known for- An Amazing WIN! Lou at Bass Southwest deliverd (literally!) great service, and his products are all top-end, for the serious and dedicated player. Absolutely worth checking out, super competetive pricing and expert knowledge too. There aren’t too many MANNE basses here in the States, I think the European community is ahead of us here in the States on that! I have known Lou for quite sometime when it was time to order my next bass (a terrific Ken Smith BT6 19mm spacing) I knew I would order it through Bass Southwest. The whole experience has been delightful and a joy. Lou’s close relationship with Ken Smith Basses helped me in the ordering process and made it very simple. Lou’s knowledge of Ken Smith basses was superb. Updates were constantly provided during the build time.I actually received the bass sooner than expected, witch is not usual when it comes to custom basses. I thank Bass Southwest and Ken Smith Bases. I highly recommend Bass Southwest to all bass players worldwide. I have nothing but praise for Lou and Bass Southwest ,I had a nightmare thrown upon me some months ago by a shipping company, I won`t get into details, But my Smith was damaged in shipment. Lou went above and beyond to help me move past the damaged Smith by stepping in and jumping thru loops for me. I have the most beautiful Smith Black Tiger BT TNV thanks to Lou, Lou`s help in the order process was passionate because he is a player him self and understands a players needs. Customer relations is heartfelt for everyone that he deals with, Lou`s contact & updates during the build process was outstanding. I give Lou and Bass Southwest a standing ovation and a 5 star rating. I will bring all my business to Bass Southwest with out question in the future, It does not get any better than Bass Southwest for your top notch Gear and Basses, Again thanks for every Lou! This has been one of the greatest bargains in my musical life. I just couldn’t resist the occasion offered by Bass Southwest: A “used” Pedulla Pentabuzz for a fraction of the price of a new instrument. Even though this bass was built in 2000 it has never been played and it is de facto new. Absolutely mint and flawless. 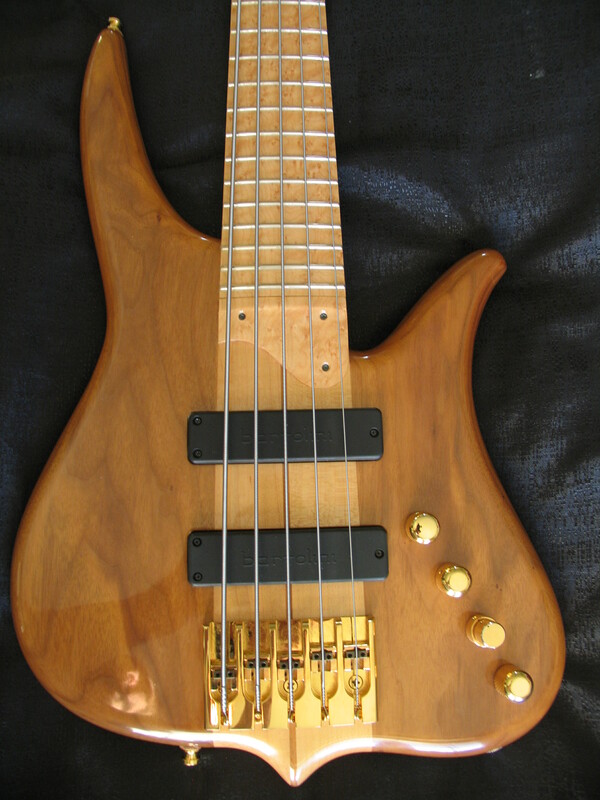 I had a very nice customer experience with Bass Southwest when I decided to buy my first Ken Smith 6 string BT Elite. Lou has been always supportive, providing me with all the needed data for a full understanding of the bass features, and then for the logistic stuff, like shipment, packaging and invoicing. This was an international shipment and everything was perfect , no problem at all. I strongly suggest Bass Southwest for any your inquires about basses and bass amps. Great bass/amp selection and great service. I Just wanted to say a massive thank you to Lou from Bass Southwest for my lovely Ken Smith cocobolo elite 5 that I bought from him, the bass is fantastic as was the service throughout the whole buying process right down to shipping to the UK. I can honestly recommend Bass Southwest for your bass needs for a honest and friendly service and great communication throughout, so much so that I have ordered another Bass a Ken Smith Black Tiger Elite.